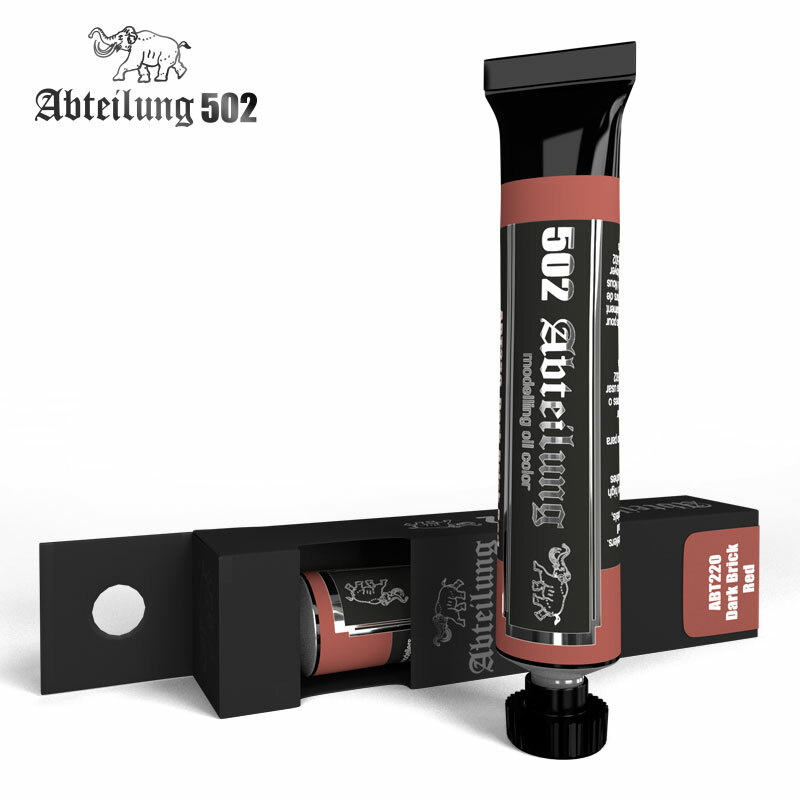 Abteilung 502 Dark Brick Red Oil Paint 20mlThis colour is suitable to add tonal variety over brown and red colours. Vehicles primed in red, walls, leather accessories, etc will get a nice and rich finish. It is also recommendable for dust effects on war zones vehicles.